Today’s chalkboard spray paint post is brought to you by Testors paints. All opinions are my own. 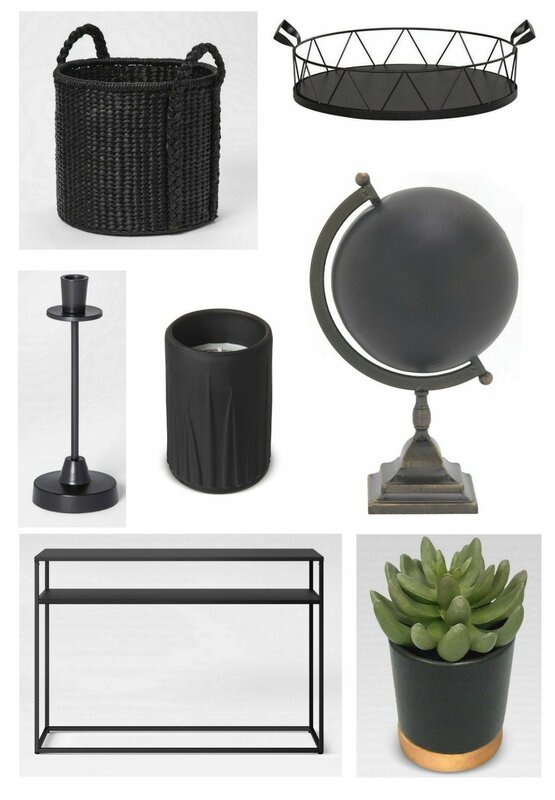 I have LOVED the modern matte black look for years because I think it’s the easiest way to modernize and update a space simply by sprinkling in a couple matte black pieces. I giggle though when I see this finish in stores when I see a very basic piece selling for so much money like a candlestick, table or matte black vase. It makes me giggle because there is an amazing chalkboard spray paint in enamel that will give you that exact sleek matte black finish in an instant and you probably already have great pieces to get this finish in your junk closet. There is no need to buy these pieces when you can easily recycle your junk! 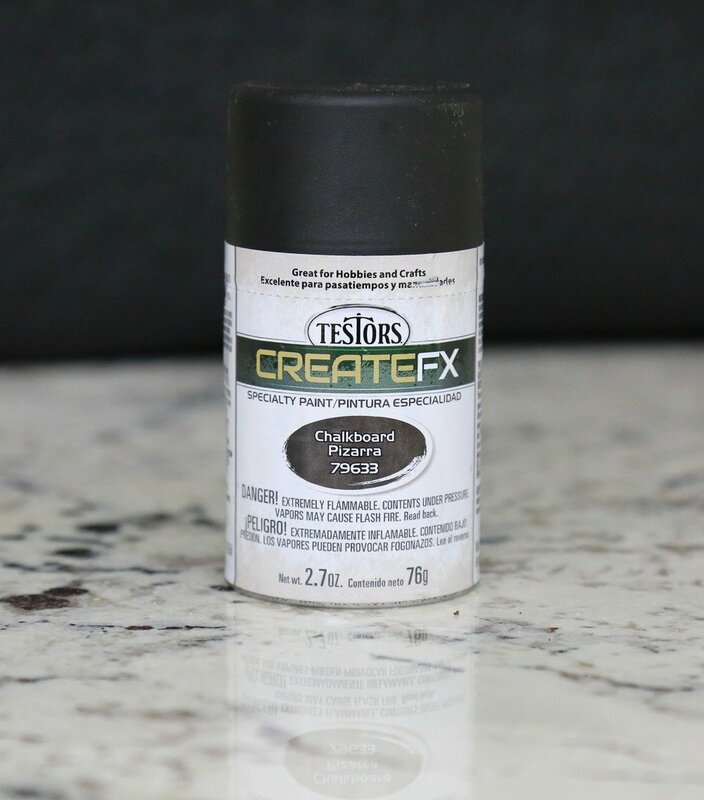 This chalkboard spray paint is my latest obsession and it’s called CreateFX by Testors. If you’ve been keeping up with me over the years, you know that I LOVE all of the Testors paints and have shared my favorite tricks for using these incredible paints here. However, Testors has come out with the CreateFX line of smaller spray paints that are so amazing. 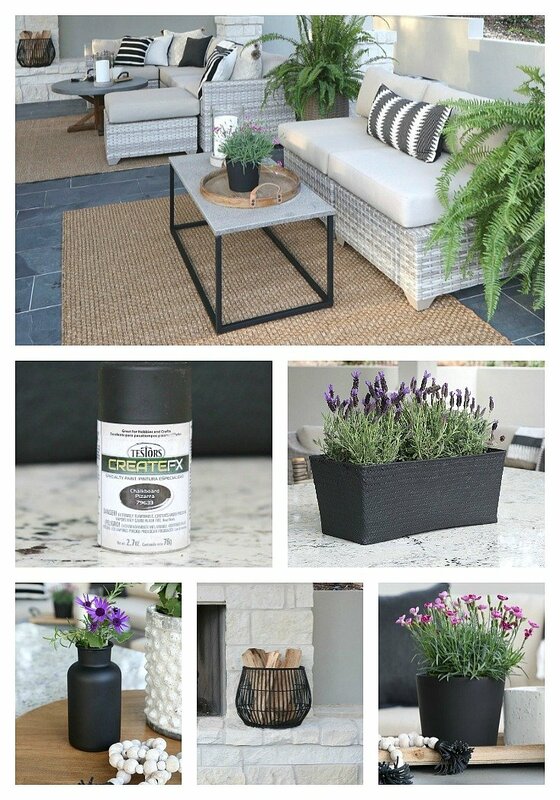 Their chalkboard spray paint is very special because it’s enamel and is as durable as it gets with a gorgeous matte black modern finish that you cannot get with a traditional flat black spray. In fact, this paint is so durable, it’s strong enough for spraying garden pots and outdoor decor. 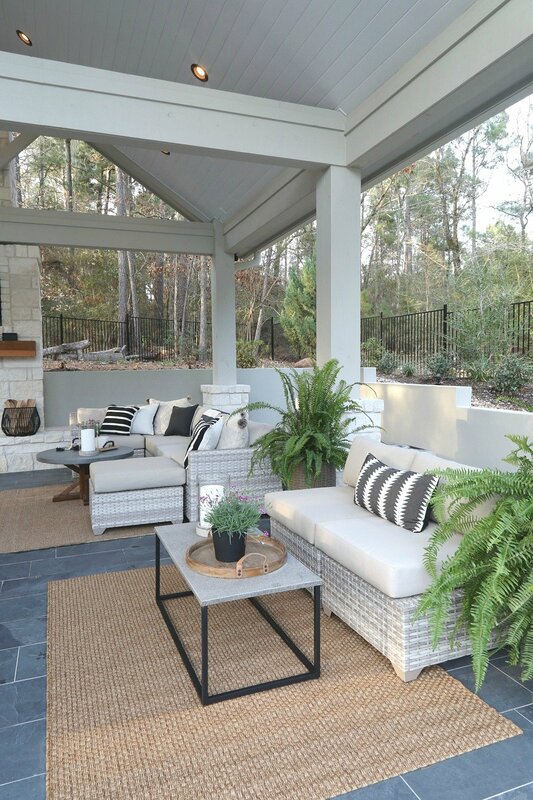 Speaking of outdoor decor, today I’m so excited to give you a sneak peek of our pool house/outdoor kitchen project. It’s not finished yet, so I’m not able to share everything but I will very soon. 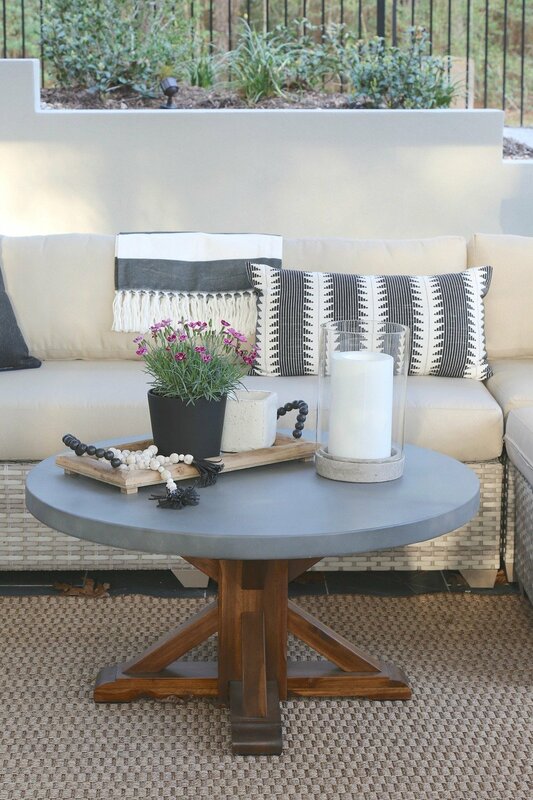 Today, I wanted to show you how I updated some of my junk with the CreateFX Chalkboard paint to give our pool house/outdoor kitchen a sleek and modern touch. I’m also sharing some tips on how to use the paint. My goal for the design work for our pool house/kitchen was to keep it from looking too rustic. 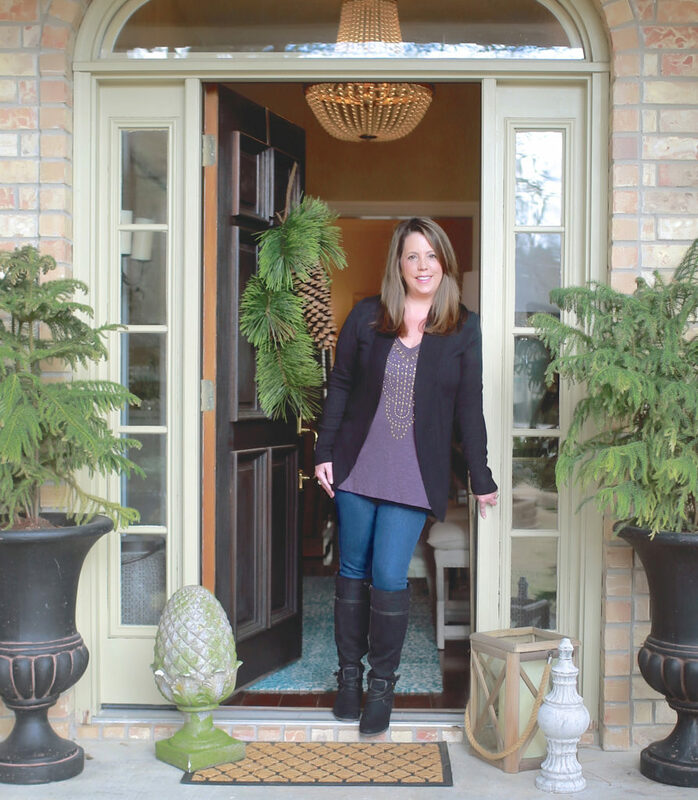 I wanted modern touches, contemporary furniture and beautiful design elements. 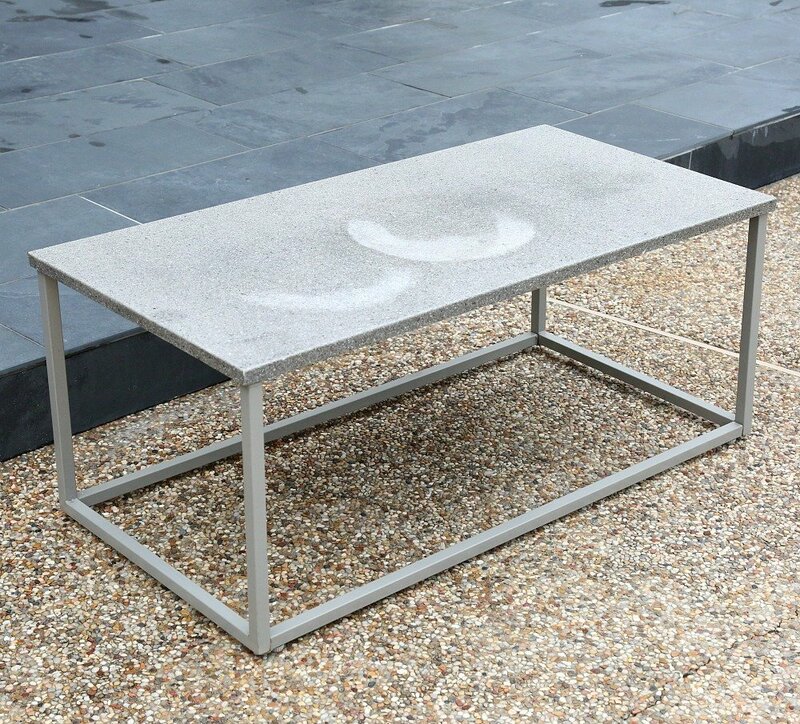 I had been searching for the perfect coffee table with matte black legs to help keep things more modern but the table I found was $500! Then I remembered I had an outdoor table that I bought for $40 a few years ago and I decided to spray it with the Testors CreateFX Chalkboard Spray Paint. I covered the top of the coffee table and the best part is with this paint, you do NOT need a primer (halleluja)! AND…, you can spray directly onto metal, glass, plastic (yes, plastic) and wood. I sprayed two very light coats of the chalkboard spray paint directly onto the metal legs (I allowed for drying in between layers) and the table turned out so fabulous! Exactly what I wanted! See how that hint of matte black helps to give that modern element in our overall space? It was exactly what I needed and the best part is that I didn’t have to spend the money on a $500 table! 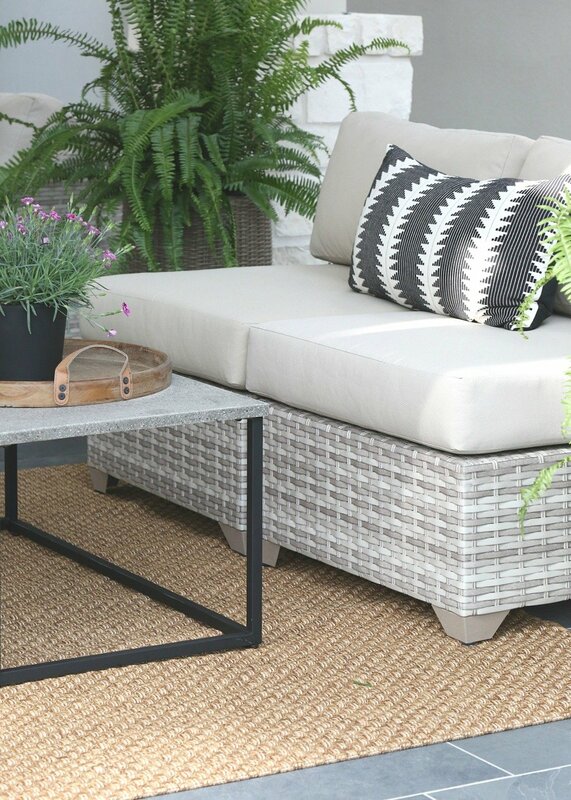 The finish is absolutely stunning and durable enough for the outdoors because it’s enamel and it will hold up through rain and other weather elements. Just look at that finish! 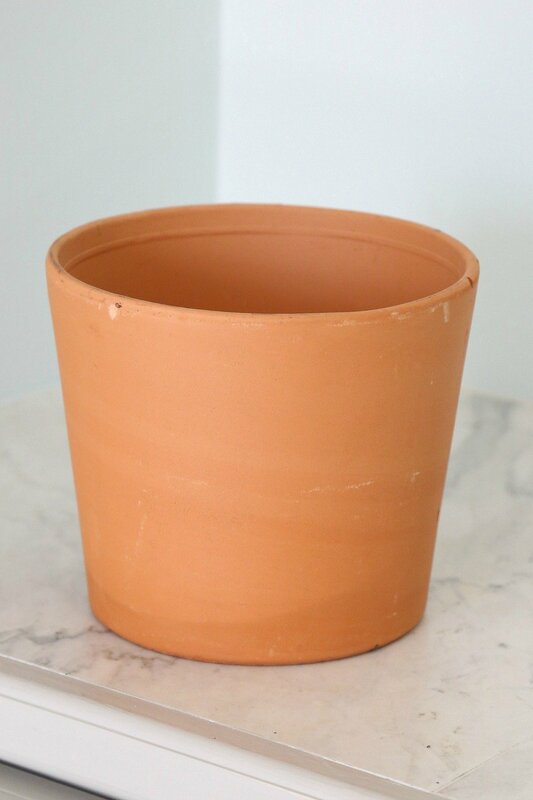 Do you have old garden pots that need to be updated? 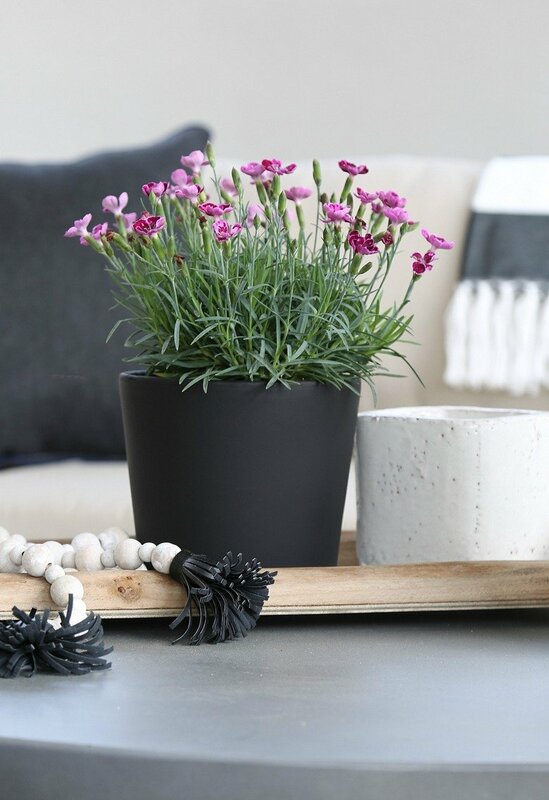 This paint is perfect for breathing new modern life into those old pots. Just clean them up really well and spray. Again, no primer needed. At Target, I saw several modern matte black pots that were selling for almost $20.00 and I remembered I had a stack of teracotta pots in my garage in my junk pile that I cleaned up and painted with the chalkboard paint. Again, notice how that small hint of matte black instantly can bring in that modern element. It doesn’t take much and something as simple as a black pot does the trick. 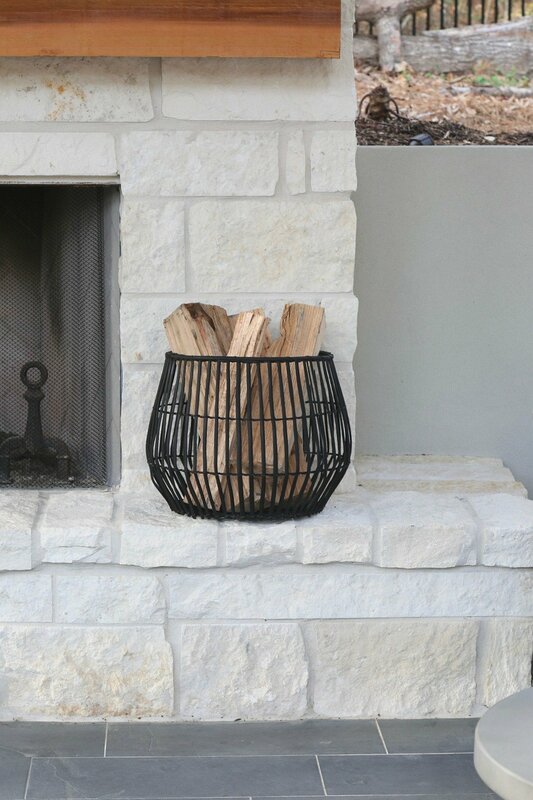 The other great thing about the Testors CreateFX Chalkboard Spray Paint is that you can instantly weatherize traditional indoor baskets because it’s enamel and it works like a sealant. 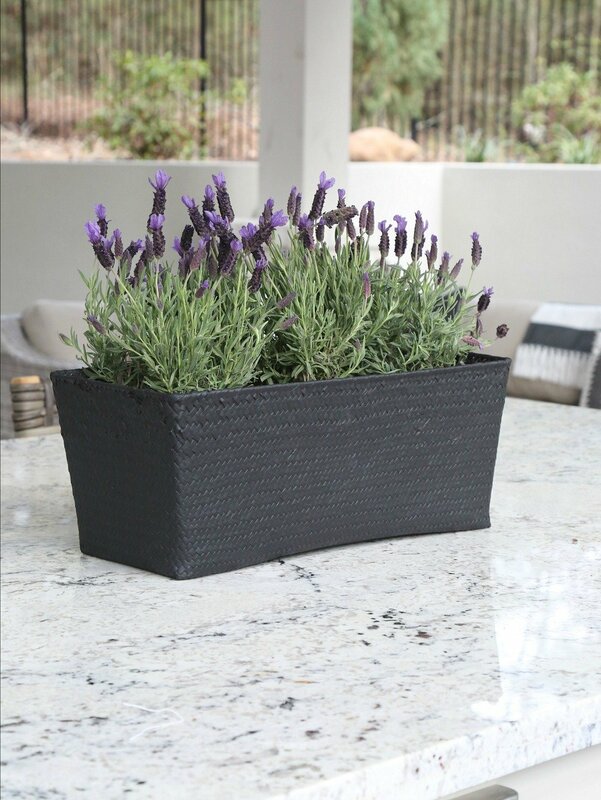 I had this old basket in my junk closet and I needed something for seasonal flowers on my big kitchen island and I wanted that touch of matte black. The trick with this paint is to spray two very light coats onto your item and allowing at least 15 minutes of drying time in between layers. Also, spray at least 10″ away and move quickly to prevent any running. The basket was completely dry in an hour! Nothing makes me happier than being able to save money and recycle something collecting dust in my junk closet! It makes me so giddy! Can you tell?! 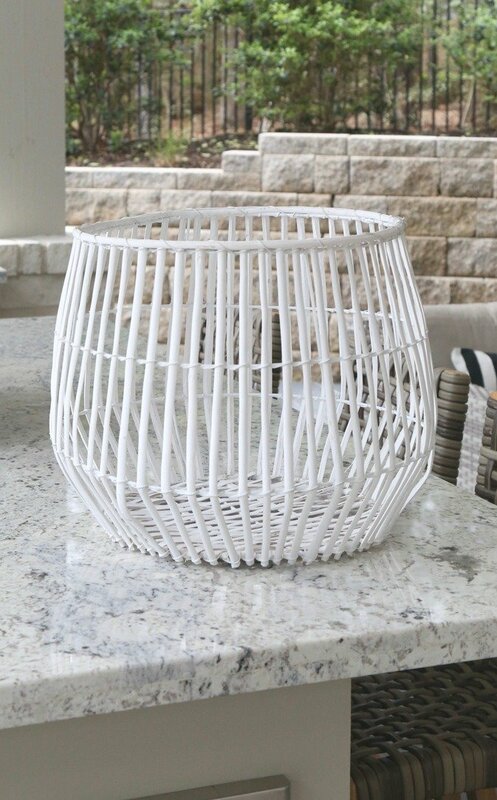 Here’s another indoor basket that I painted and again, it’s now durable enough for being outdoors. Yes!! Exactly what I needed and so modern and chic! See why I’m so obsessed with this stuff and spraying everything in my junk pile?!! Why not, right?! One last thing…. Glass! Yes, glass! No primer needed, just clean the glass with alcohol and dry it off and spray two light layers. 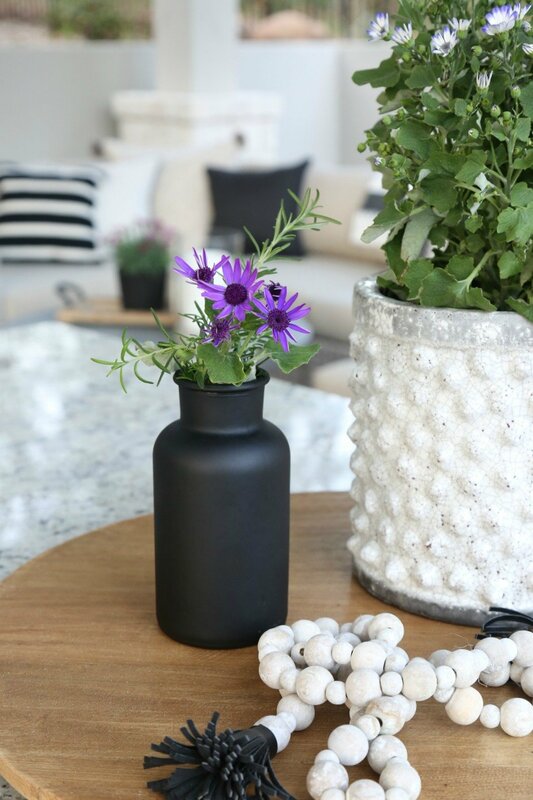 Find those old glass bottles, vases or even frames (make a chalkboard) and spray those babies! 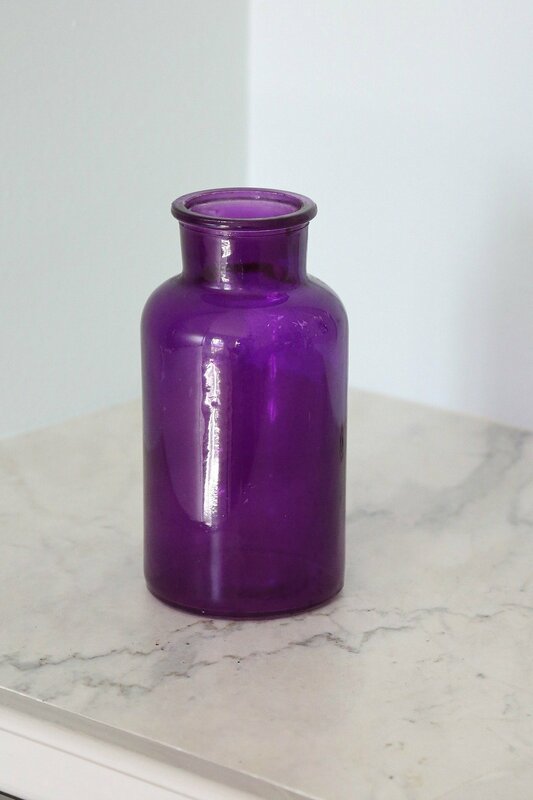 I had this purple glass bottle in my junk closet and sprayed it. …and now it looks like something from Joanna Gaines’ Magnolia Home store! I have seen these matte black bottles selling for $25.00. See why I giggle so much to myself when I see this stuff in stores? Keep in mind that you can revamp your decor for indoors as well! 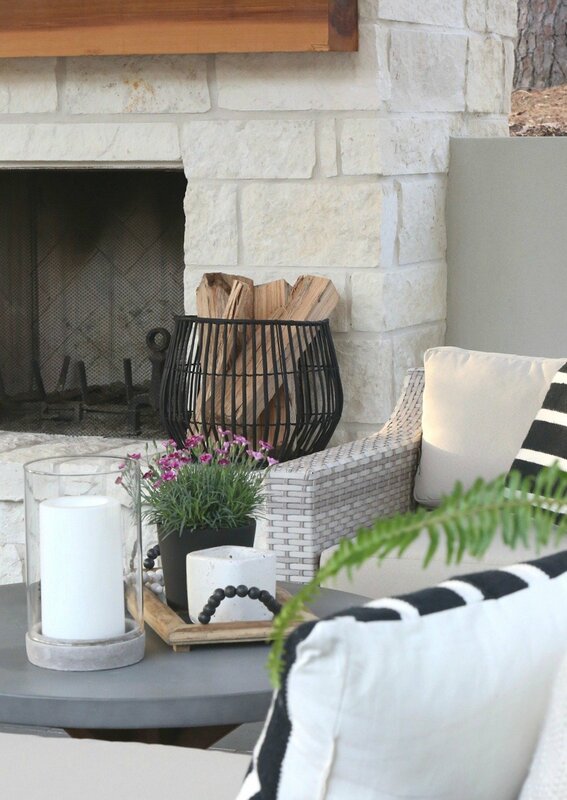 Spray a couple candlesticks and pots and work them in for that instant touch of modern. Of course, if you want to make yourself a fun chalkboard, you can spray an old frame (glass and all and no primer needed) and you’re good to go! So where do you get this awesome paint? You can get it at Michaels Stores (online here), Home Depot stores (online here) and Hobby Lobby (online here). If you want to learn more about the other Testors paints and why I love them so much, you can see my post here. Nothing comes close to comparing to Testors paints when it comes to finish, durability and colors. I have used Testors paints for more than 25 years. You will love them! A HUGE thank you to Testors for partnering with me today on this fun project and for making the best paints. OMG I’m so gonna do this for some of the décor and furniture on my sun porch!! Nice! I am a big fan of chalkboard paint simply for the matte black finish that you cannot get from a regular flat black spray paint. I look forward to trying this brand since it is certainly more heavy duty and versatile than the basic rustoleum brand I have just run out of while spraying a picture frame I got at Goodwill. 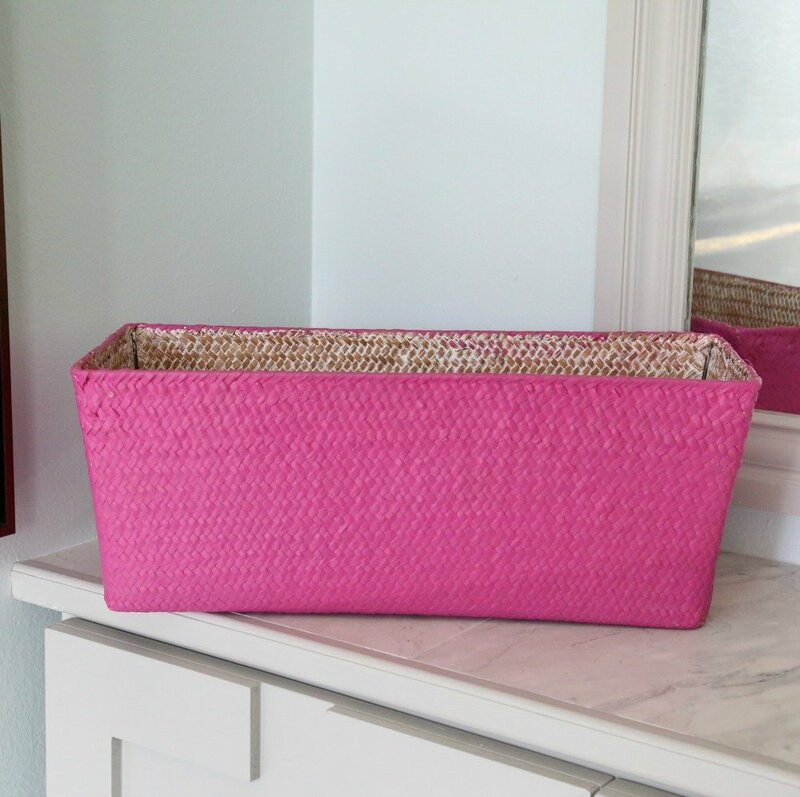 Love how the basket came out – my West Elm basket could use a touch up and this will be perfect. 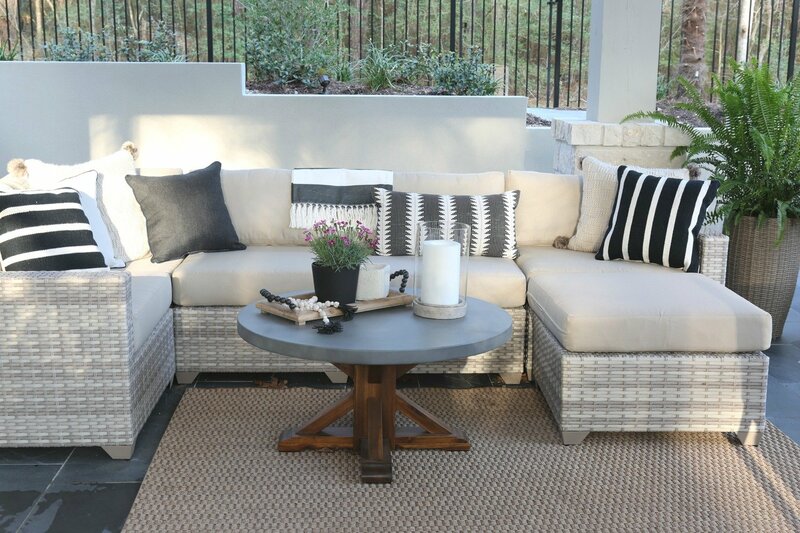 Your patio looks great. love this. Do you think it will work on shiny brass candle sticks? I have so many things I can use this on…thanks for a great post. Your place looks amazing…btw. Hi – love the look and have two questions. First – how is the CreateFX Chalkboard different from the CreateFX Matte Black. I can find the matte black color easily but haven’t located the Chalkboard yet. Both are enamel? Will keep looking for the Chalkboard. Also, how durable would this be on a horizontal surface like a tray base? Will it stand up to sliding things across it? The CreateFX is actually listed as a flat/matte black. I haven’t tried it yet but flats tend to show scratches and have a duller finish than this. Why I’m so excited about using the chalkboard spray this way is that you will have less scratches and it has a more true matte look with a tad more sheen than a traditional flat. With all of that said, I haven’t tried the CreateFX flat/matte but I prefer the look of a little more sheen than a traditional flat. Yes! I think this paint is durable enough for a tray without seeing scratches. From my experience, Testors enamel paints are rock solid and so much more durable than anything else out there. The table turned out beautifully and I love how the space is evolving! 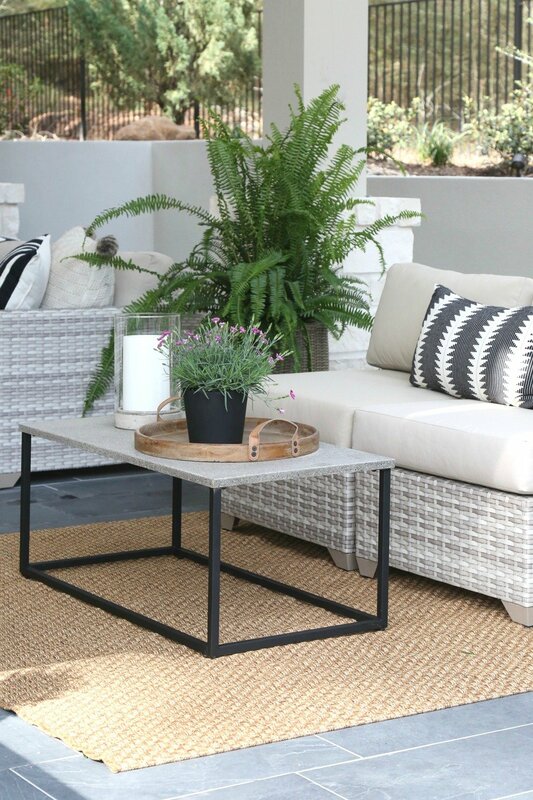 I’m hoping you will post links to your outdoor furniture – love the look! Love everything you’ve done…….makes me want to get busy! Thank you for sharing, love the matte black! 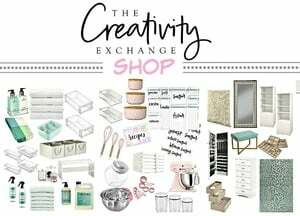 I love this look but does it come in the create FX chalkboard spray paint in colors? 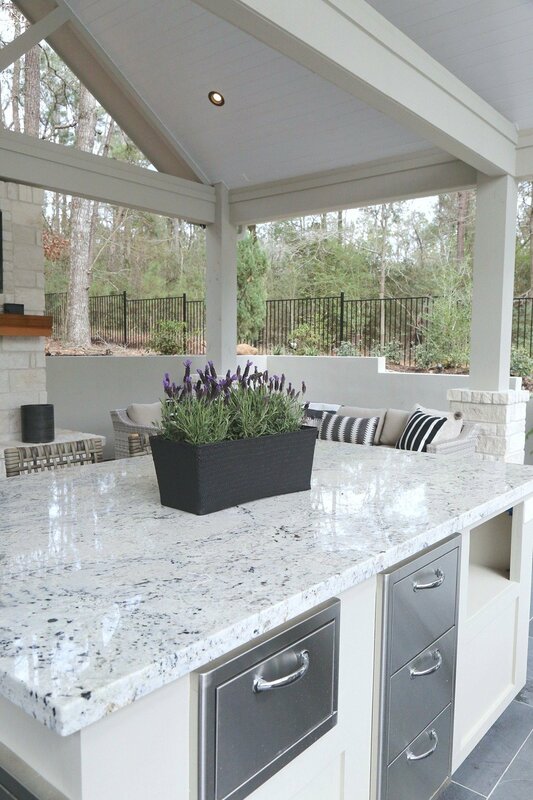 Your outdoor kitchen pool area is looking beautiful. Can’t wait to see the completed project. I will look for this! You turned me on to the Testors enamel with your last post and I’ve been very happily transforming lamps and small items using the model masters paint, it’s great stuff! Checked the click-through you provided to the product page and it says that its not approved for outdoor use. I was wanting to use it on some iron chairs who’s finish has chipped. It would be a shame if the weather would affect them once they were painted.